Veteran pop artist David Mathenge alias Nameless and his wife Wahu serve as the ultimate couple goals having been together for over a decade. In an interview at a local radio station, Nameless admitted they faced difficulties at the beginning of their marriage but they always resolved their differences. “Understand you are different. We struggled a lot especially at the beginning of our marriage and to make matters worse, we got married and my wife got pregnant almost immediately. You can imagine the hormones and all. “Being in the public eye since both of our careers are centered on publicity is another challenge we had to tackle. We agreed to protect our family as we continued to pursue our careers and that has brought peace to both of us,” he said. 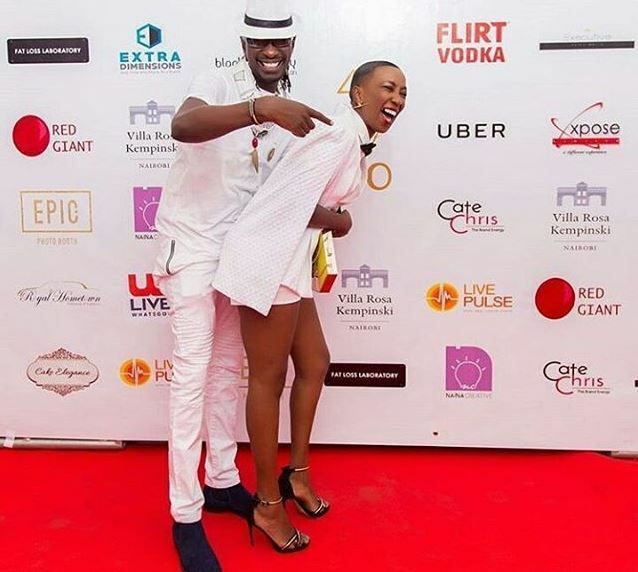 Nameless further attributes his marriage longevity to a book that changed the course of his relationship with wife Wahu. “I came across a book called Reading habits of highly effective people and ever since I got my hands on that book, my marriage took a totally different turn,” he recalled. Nameless is currently riding high on the remix of his debut hit ‘Mega Rider’; he featured Khaligraph Jones to celebrate 20 years in the game. The legendary singer also shared his opinion on the worrying trend of university students killings saying youth need mentorship programmes.